test, but the challenges of becoming a good HF operator are just beginning! also be a few tips to help long-time HF operators hone their skills. 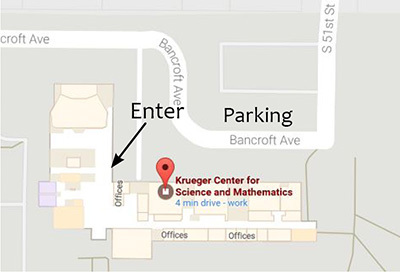 The December VE exams will be held December 7, 6:30 P.M., at Union College in the Krueger Center (approximately 50th and Bancroft) room 109. The November club meeting is Nov. 8 at 19:30. We will meet at LI-COR (4647 Superior Street) – located near the intersection of Superior Street and North 48th Street. Joe Eisenberg, KØNEB, will present on using digital modes for ham radio and specifically the new mode, FT8.